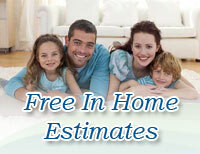 « How Much Does a Bathroom Renovation Project Cost in Halifax? At Beautiful Baths we believe that every bathroom is beautiful. But we know that there can be a lot of pressure for homeowners to have a bathroom that conforms to “conventional beauty standards”. So if you want your bathroom to look and feel as beautiful as you know it is, we can help. 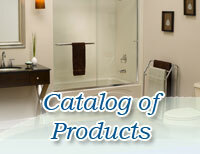 There’s lots of options available to you to bring out your bathroom’s inner beauty. Let’s take a closer look at the three main types of renovations that we can do for your tub or shower, and surround, what we can “the wet area”.The type of renovation that will be best for the wet area of your bathroom depends on what sort of changes you would like to see. Refinishing, resurfacing, or reglazing are all names for a quick and easy process that can return a damaged, or dingy tub to a condition just like new. We use a technique developed by tub refinishing innovators, Kott Koatings, that is free of harmful chemicals or acid etching. Make sure that if you choose to refinish your tub that your contractor does not use these sorts of substances as many have been found to be carcinogenic(cancer causing). Refinishing can be applied to area part of the wet area, tub, shower, surround, tile, or even sinks. So if you are happy with the overall shape and style of the wet area, but perhaps it isn’t in the best condition due to hard water stains or a damaged surface, or maybe the old colour isn’t jiving with your new modern aesthetic, you might consider refinishing to give it an updated look and feel. Refinishing is also a great way to freshen up your bathroom on a budget. Take a look at some of our refinishing projects in our gallery. This is a more well known option to most of us, but if you are unfamiliar the idea is simple. A new acrylic liner, and sometimes surround is custom made to fit the dimensions of the existing tub and fitted right overtop. We’ve all seen it offered by most bathroom contractors, and it’s easy to see why. What could be easier than slipping a brand new beautiful tub over that old unflattering set up? Well it certainly is an easy solution to get a new tub quickly with installation in just one day. Our acrylic liners are custom made to fit perfectly over the existing wet area, and come with a lifetime warranty. Our liners can be made in many different colours and a variety of styles. However with an acrylic liner you will not be able to gain any depth, as you are limited to the exact dimensions of your current bathtub. So if you want the feel of a luxurious soaker tub, or maybe you are looking for something more accessible, you aren’t out of luck just yet. This is our most requested renovation as it allows the most flexibility as to what can be achieved for the look, and function of your bathroom. When we replace the wet area of your bathroom, we remove everything and rebuild from the ground up with your vision in mind. So whatever you want to have in your new bathroom we will work with you to bring that dream to life. If you are looking to have a larger deeper tub, because we know there’s nothing quite like lighting some candles, pouring a little wine (or a lot, we’re not here to judge) and taking a nice, long hot soak with some essential oils, and epsom salt, to ease the stress and tension of a long day. If that sounds like your kind of night, we’ve got you covered. Maybe you aren’t the type for baths, thats okay. We can remove that old tub and replace it with a brand new shower, whether it’s a stall style to maximize space in a small bathroom or you want a spacious shower with a rainfall head, and body sprayers to take your shower experience to the next level, we can do it all. 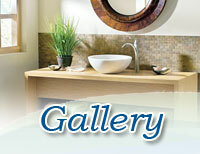 A growing concern for many homeowners is accessibility in the bathroom. If you or any members of the household have, or are developing mobility restrictions we can redesign your bathroom with ease of use in mind. We have a number of showers that have lower barrier or even barrier free entry. We can also fit the new wet area with ease of use accessories such as benches, or grab bar that are attached directly to the wall studs for added safety and security. This has a number of benefits aside from allowing you to get exactly the bathroom you’ve been dreaming of. When we remove the existing wet area we can inspect the condition of the surrounding walls and flooring for potential damage and replace if necessary. Most importantly though this allows us to evaluate the plumbing for leaks have happened, or might be on the horizon. This is particularly important for older homes. When compared to installing an acrylic liner, it is only a small increase in cost to completely replace the wet area and can most often be completed in one day as well, but the true value lies in the peace of mind knowing that you aren’t sitting on top of a possibly very expensive issue underneath the tub that would require a full replacement after all. In the end, the option that leaves you satisfied and loving your new bathroom is the one that's right for you. But if you aren’t sure we would love to give you a complimentary in home estimate, where we can go through your options together, or grab a copy of the Consumer's Guide To Bathroom Renovations a wonderful resource where can learn more about these types of renovations. Went more quickly than expected. k.Olinskie,Dart (acrylic walls, ceing panel, new bathtub,window).